Besly distributors can use this page to check stock on five items at once. Besly’s Engineering and Customer Service specialists are ready to provide application and technical assistance by phone or email. Besly Cutting Tools, Inc. has a technical support staff that is ready to assist you in solving your toughest tapping applications. 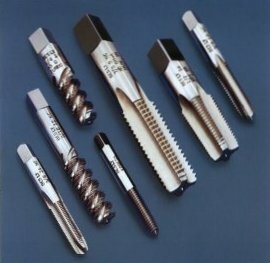 Our product line includes tools designed for tapping some of the most difficult materials in use today, however, tougher applications may require a modification of some features of these tools. For these applications, just call the toll free number listed below or send an e-mail to techsupport@besly.com and let your Besly Technical Support Team assist you in achieving the best tap design for your situation. Copyright © 2000-2016 by Besly Cutting Tools, Inc. All Rights Reserved.